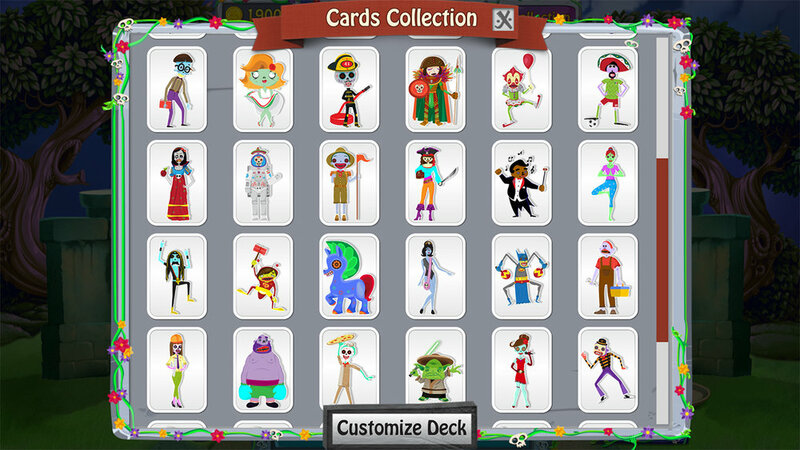 For a Mac version click here! Greetings, living one. 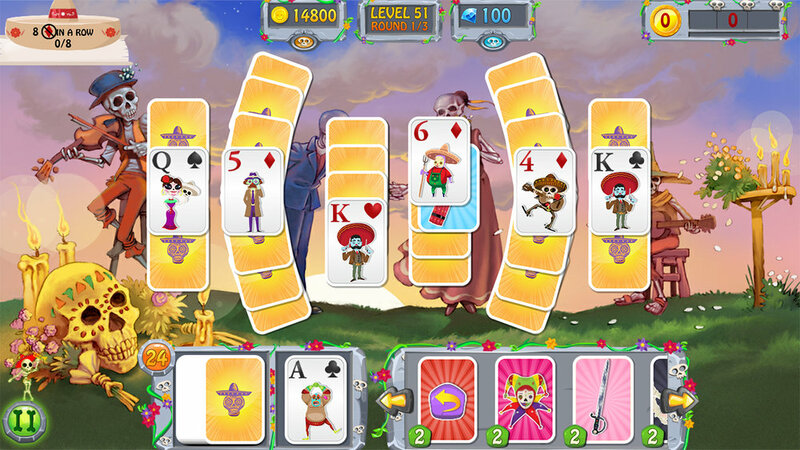 Are you ready to tackle this new Solitaire adventure with a twist? 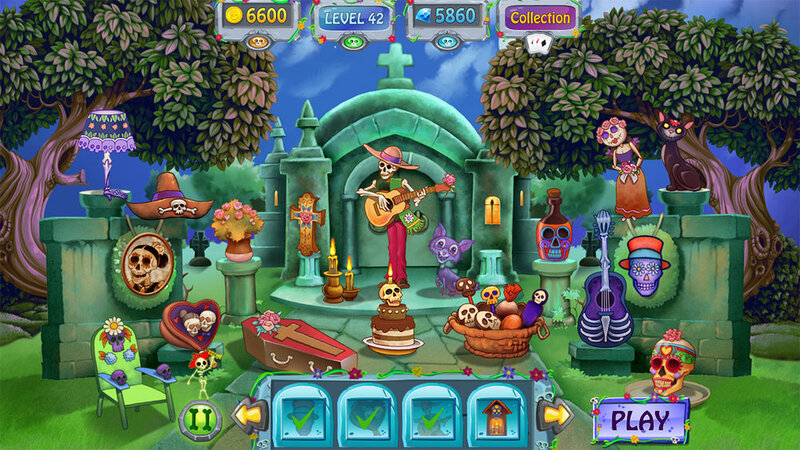 Take a deep breath and dive into this fantastic journey on "Dia de los Muertos", the Day of the Dead - Find collectible cards to customize your own deck and decorate a cemetery to welcome the souls from the Land of the Dead.